Perfect for presenting a wide variety of desserts, sweet treats or cakes, these Vendome Black Dessert Plates are incredibly versatile. Featuring a matte black finish and distinctive triangular shape, this Viejo Valle tableware is ideal for a modern foodservice. 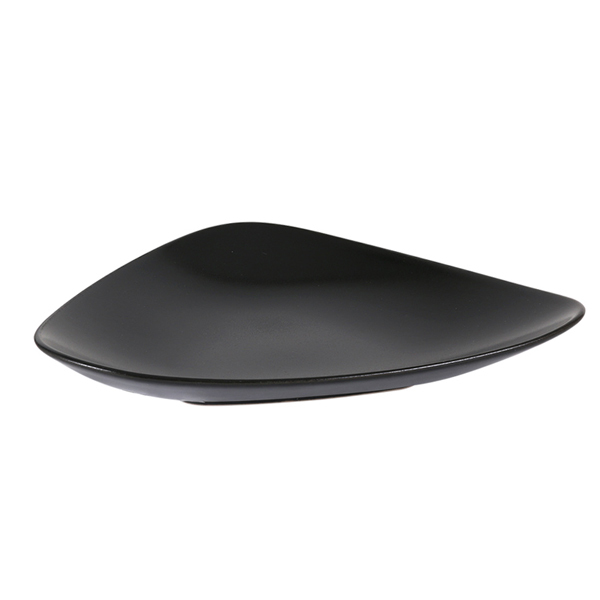 Crafted from solid stoneware, these curved plates offer excellent strength and longevity. Well suited to commercial settings.